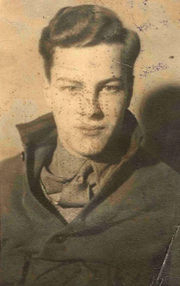 Patrick Leigh Fermor aged 18. His passport photo. In December 1933 a young Englishman, just 18 years old, stepped off the ferry from London in Rotterdam. He shouldered a rucksack and set out on a walk across the continent that would take him, eventually, to Istanbul. 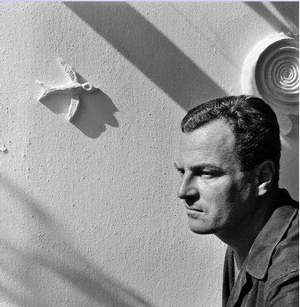 His name was Patrick Leigh Fermor – Paddy. Forty-four years later he published an account of his journey. Or, rather, the first part of his journey – the book was conceived as a trilogy. Although Paddy was known as a travel writer in 1977, it was this book – A Time of Gifts – that introduced him to a wider audience. 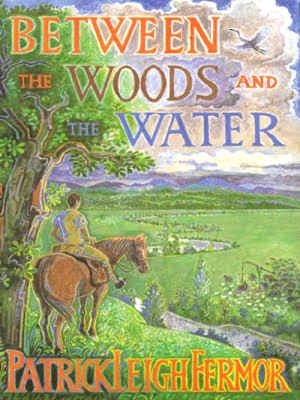 Between the Woods and the Water, the second part of the trilogy came out in 1986 and suddenly he was famous. One reviewer described him as “perhaps the most captivating travel writer of the century”. But it was not until 2013 that the story was concluded in The Broken Road. And now you understand the title of this article. Paddy was not a prolific writer. In the end he wrote little more than a handful of books. But his style, observation, fascination with the most obscure and esoteric subjects, charm, daring and above all his command of English make each one of his books a fascinating read. His readers fall under a spell. There are societies dedicated to his memory, websites where his books are debated and many travellers have set out to follow in his footsteps. I’m going to guess many, many more have thought about doing so. I’m one! 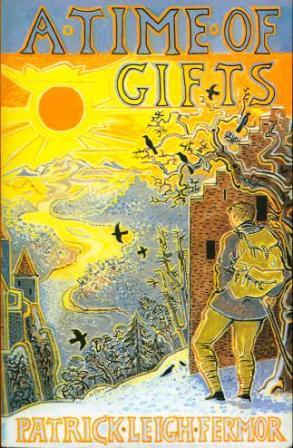 A Time of Gifts tells the story of his journey through Germany, Austria and into Czechoslovakia during the earliest period of Nazi control. Paddy was aiming to live off £1 a week. (His family sent him his money by post a week or a month at a time, so he wouldn’t overspend. In the book he describes how sometimes, when his plans didn’t work out, he would be in fairly desperate economic straits. How he struggles to get to the next post office where his cash is waiting for him post restant.) He travelled on foot, sleeping out under the stars, or he stayed in the cheapest of hostels, or with people he met on the way. The journey had a hard beginning. After a time, though, good fortune (and Paddy’s charm) led him into more aristocratic circles. A few introductions he’d brought with him from friends in London helped too. By the time he reached southern Germany and Austria he was being passed from one Schloss to another. Between the Woods and the Water sees him across Hungary and Yugoslavia to the Iron Gates, a gorge of the River Danube on the border with Romania. Continuing on from A Time of Gifts, Paddy keeps moving in aristocratic circles. At the same time he insists on walking and spends long periods alone on the road or travelling with gypsies. The two books taken together, although written so long after, are still a fantastic record. They paint a picture of a post-First World War world that still remembers the pre-war empires of central Europe. A world soon almost completely erased by the horrors of the Second World War and the long period of Communist dictatorship that followed. Paddy’s fans looked forward to the final volume. 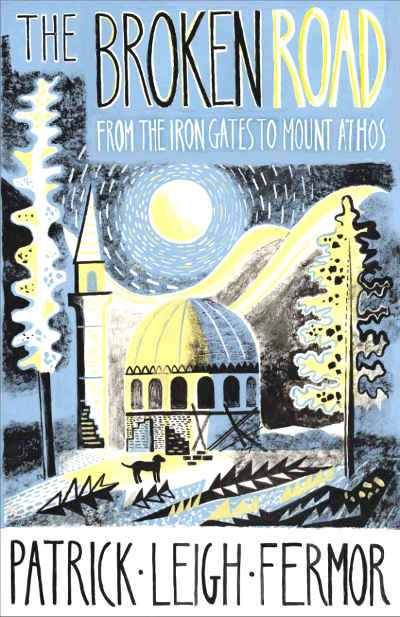 The book that would take him across the Balkans and bring him finally to Istanbul. It never came and Paddy died in 2011. However, in 2013, his biographer Artemis Cooper and fellow travel writer Colin Thubron published The Broken Road. This is the conclusion to the story, edited from Paddy’s notes and diaries. It goes some way to satisfy those of us who were captivated by the first two volumes and looked for closure. Paddy’s journey, which started in December 1933, came to an end in January 1935 just a month before his 20th birthday. He had a life of action and adventure ahead of him. He became a war hero and, after the Second World War, dedicated himself to Greece and all things Panhellenic. Travelling in the footsteps of the poet Byron, he was himself a Byronic character. One of his obituaries described him as “one of the few genuine Renaissance figures produced by Britain in the 20th century”. Another said he was a cross between “Indiana Jones, James Bond and Graham Greene”. 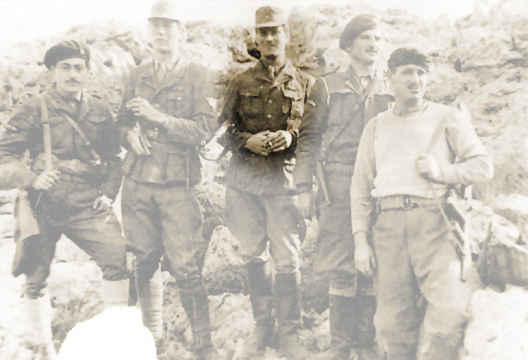 As they were moving their German prisoner, General Karl Kreipe, across the island they came to Mount Ida. This, the highest point of Crete, was capped with snow. Looking up at the peak of the mountain, Kreipe recited the beginning of a Latin poem about another snow-capped mountain. Paddy recognised the poem and immediately recited the rest of it. Captor and captive realised they had something in common – a love of classical literature. Time and again in the trilogy Paddy demonstrates a similar ability to find common ground with people he meets – whether through literature, experience or empathy. It seems to me this is one of the secrets of his success, both as a traveller and a travel writer. His ability to open himself and build bridges with everyone he meets, whomever they may be. Early in the first book he stays overnight with a young man, a labourer he meets on the road. The young man turns out to be a Sturmabteilung member – one of the Brownshirts. Paddy gets him to confess that up until quite recently he was a Communist. They explore the reasons the young man switched sides. Paddy’s account of his adventure continues to inspire people. The idea that you can just pick up your pack and step out onto the open road to meet adventure one day after another – it’s very alluring. One man who succumbed, journalist and travel writer Nick Hunt, set out in December 2011 to follow in Paddy’s footsteps. Beyond buying roadmaps and putting out calls for accommodation, I deliberately did no research into where I was going. Paddy’s books, eight decades out of date, would be my only travel guide. With his experience underlying my own, I would see what remained of hospitality, kindness to strangers, freedom, wildness, adventure, the mysterious, the unknown, the deeper currents of mists and story I believed – or longed to believe – still flowed beneath Europe’s surface. Nick Hunt completed the journey in 221 days – less time than it took Paddy. He also produced a book of his whole journey in far less time than it took Paddy! The book – Walking the Woods and the Water – is a very worthwhile read as a pendant to Paddy’s trilogy. I recommend it. And my own walking adventure ambition? It is to cross Sweden in the footsteps of a gentleman with the mouth-filling name Bulstrode Whitelock. Whitelock was the ambassador of the Republic of England to the court of Queen Christina between 1653 and 1654. But more of that another time. Picture acknowledgements: The passport photograph of the 18 year-old Paddy comes from the website of the Patrick Leigh Fermor Society. The book covers all came from websites selling second hand copies of the books, except for The Broken Road, which is on my shelves here. 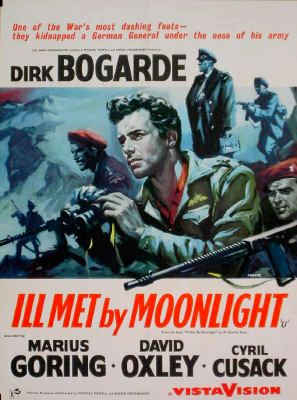 The film poster of Ill Met by Moonlight I found on Pinterest and unfortunately can’t be more precise than that. The picture of the Kreipe Abduction Team and portrait of Paddy in middle-age are both from Wikipedia. Originally published on the separate Stops and Stories website, I transferred this article here on 12 March 2017.